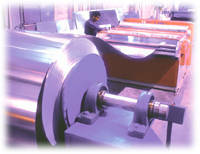 Aluminium & Light Industries Co. Ltd. Founded in 1976, ALICO has established itself as one of the regional leaders in the building façade industry, owed to its dedication towards developing creative products with high quality standards and also providing innovative custom design solutions. ALICO manufactures and installs Aluminium curtain wall (unitized and stick), doors and windows suspended glass assemblies, roof lights/skylights, aluminium cladding, stainless steel cladding, balustrades and handrails, architectural metal works, point fixed glazing, automatic doors and do paint coatings (pvdf, polyester powder). ALICO operates full-fledged factories equipped with latest technology in UAE, Kuwait and continues to engage in projects spanning Middle East, Africa, Asia and Europe. Concept & Design by GIBCA Limited, Sharjah.